A vector set that shows ranch life illustration. 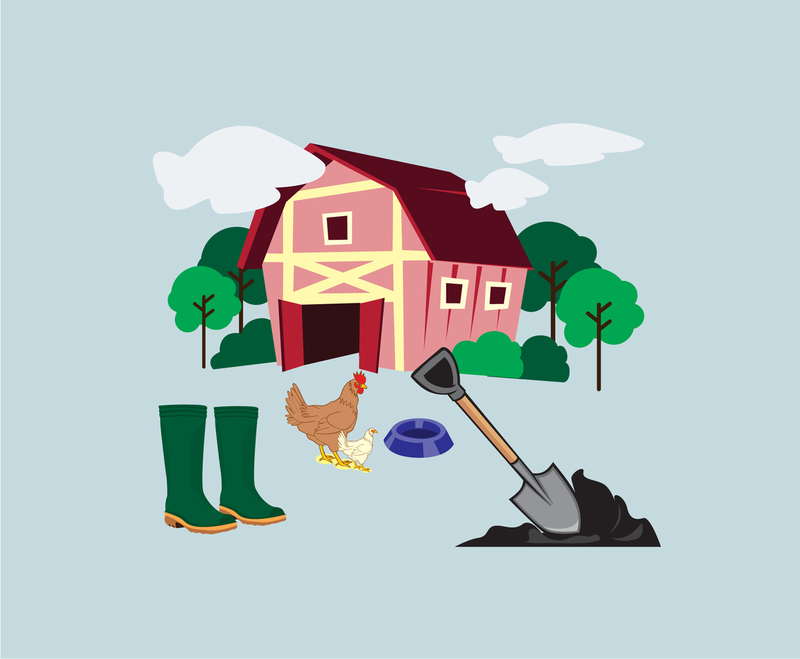 Inside the zipped file you can find vector illustration of boots, shovel and fertilizer, hen, rooster, and a barn. You can use this set in infography or poster design.